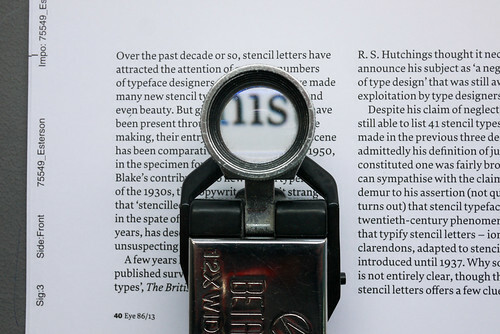 Eye Magazine | Blog | Type Tuesday: No end of print? 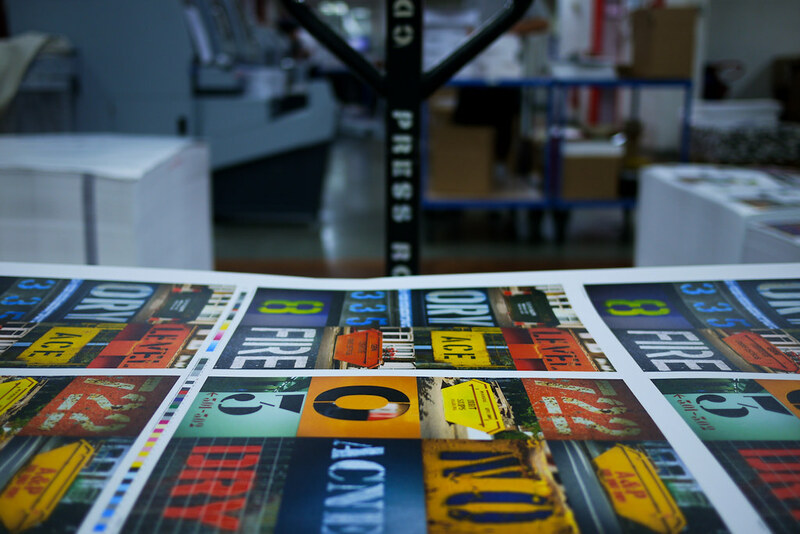 Richard Owers of Pureprint – Eye magazine’s printers since issue 68 – will speak about the way the print giant has adapted to the fast-changing world of printing. New North Press’s Richard Ardagh will talk about printing the specimen posters for A23D, a new, eighteen-line letterpress font designed by Henrik Kubel and Scott Williams of A2/SW/HK and 3D-printed by Chalk. A short film about the project will be premiered at the London Design Festival. Snapshot of 3D-printed font at New North Press in Shoreditch. Photo: John L. Walters, Instagram. 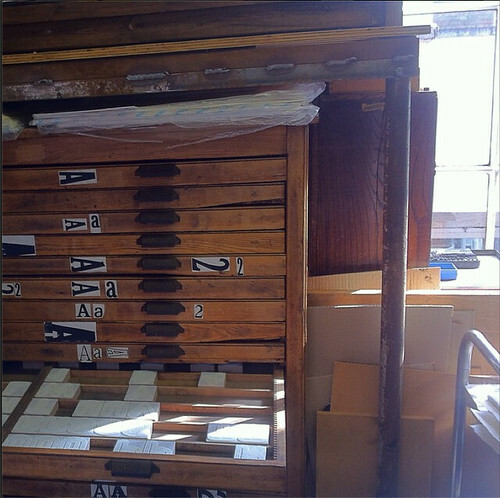 Top: Eye on press at Pureprint in Uckfield. Clair Neal and Matt Wade of Kin will be speaking about their variable data print project for Mini Boden. 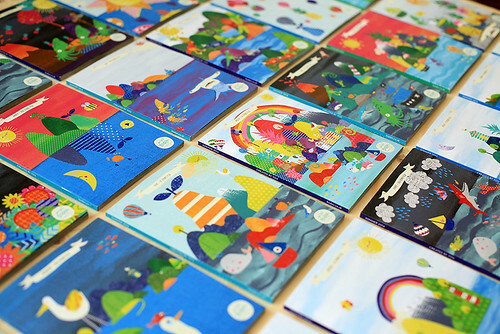 Covers for Mini Boden Summer 2014 catalogue designed by children using Kin’s app. 15,000 personalised covers were sent out to the children who designed them. 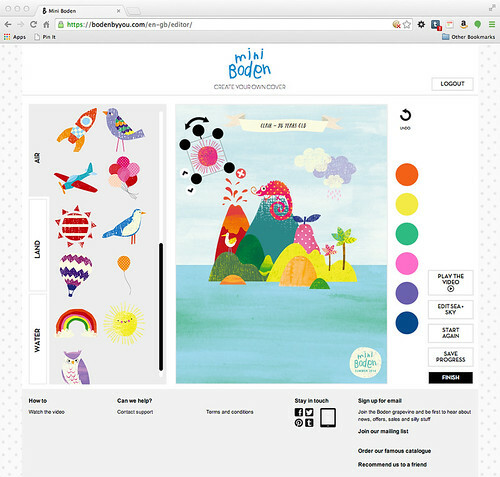 Mini Boden HTML 5 app designed by Kin. And photographer Martin Usborne will talk about print and photography, including his new publishing project Hoxton Mini Press (which was featured in Eye 88). 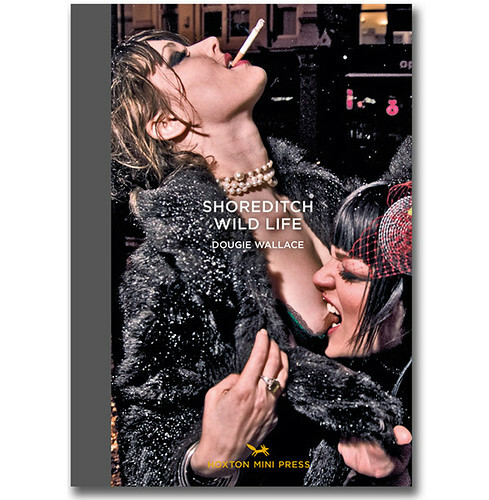 Spread from Shoreditch Wild Life published by Hoxton Mini Press. See ‘To have and to hold’ in Eye 88. Other speakers include Michael Burman (F. E. Burman), Oz Osmaston (Calverts) and Marcroy Smith (People of Print), whose new, Kickstarter-funded magazine was printed by Pureprint. The audience will be full of more publishers, prophets, print-makers and print obsessives of all description, so please join us! 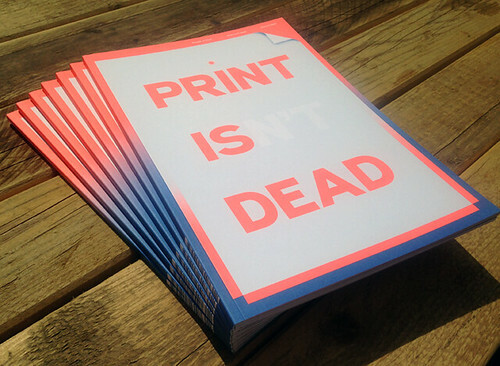 Issue one of People of Print’s new magazine Print isn’t Dead. We will conclude with a panel discussion chaired by Eye’s John L Walters and Simon Esterson, and we will be running the usual pop-up Eye shop complete with a selection of bargain back issues. If there are any back issues you’d like to buy from our archive, leave a comment below with your requests, or Tweet directly to John @eyemagazine, and we’ll endeavour to bring them along. Tickets are going quickly. Get yours here. Eye 86 on press at Pureprint.